Indulge yourself in a day of relaxation and serenity at the Pasithea Ultimate Relaxation Spa! With a convenient location in the heart of Bangkok, it won’t take much to treat yourself whenever you want! Pasithea was situated in a quiet street next to a very cool boutique hotel. The staff were friendly. We soaked our foot and then got to the massage. It was my first time having a thai massage. It was okay just because I prefer swedish massage.my husband, on the other hand, enjoyed it very much because he likes thai massage. We were given some snacks after the massage which was very delicious. Enjoy a day of pampering and spoil yourself at the Pasithea Ultimate Relaxation Spa! 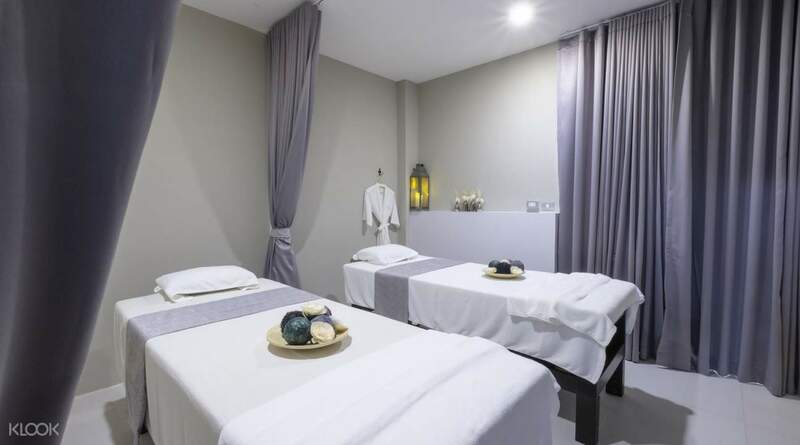 Located in the heart of Bangkok and near the BTS Victory Monument station, it won’t be that difficult to plan your visit and navigate your path to wellness. Escape for a little while and relax your mind and body inside clean, tranquil rooms filled with scented oils and aromas. 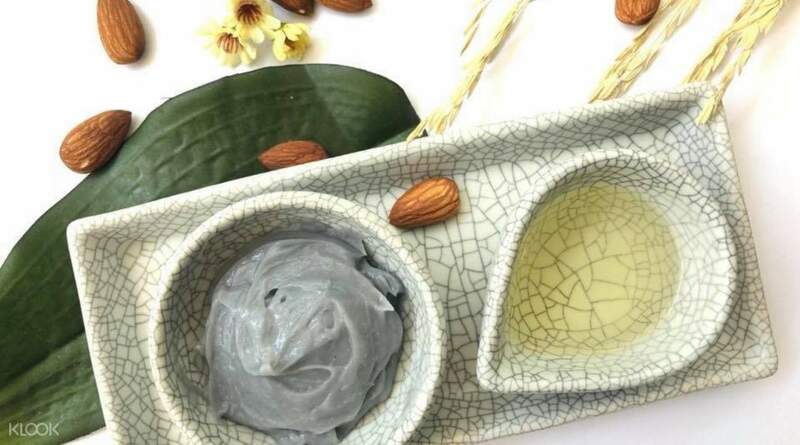 Choose from a wide selection of treatments, such as Thai Massages, Glow Package, Retreat Package, Ultimate Package, and more that focuses on different parts of your body, even your skin! Feel the stress, fatigue, and other discomforts leave your body under the skillful ministrations of professional massage therapists. 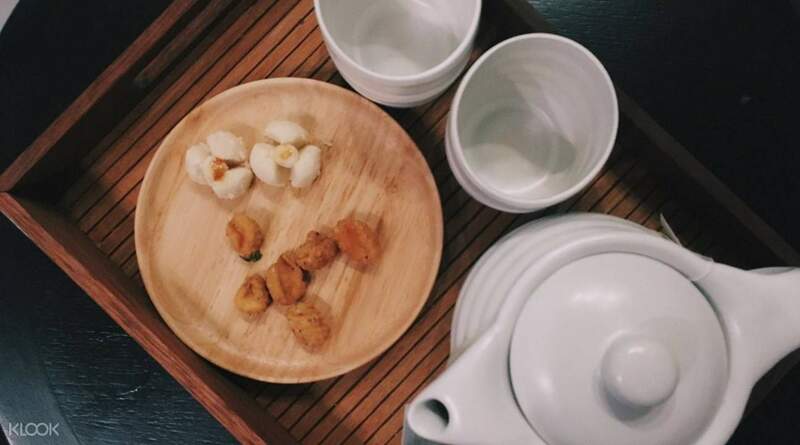 At the end of the session, enjoy a hot cup of jasmine tea served with delicious Thai sweets after a day of rest and rejuvenation! Have a revitalizing day and treat yourself to the ultimate relaxation experience in Bangkok! End your session with a refreshing cup of jasmine tea and Thai sweet servings! The best way to reach the spa is to ride the BTS (Bangkok Mass Transit System). Take the BTS to Phayathai station. Take Exit 2, turn left to enter Rang Nam Alley then turn right to enter Soi Ruam Chit. Pasithea Ultimate Relaxation is on the G floor of K Maison Boutique Hotel which is located on the left hand side. Pasithea was situated in a quiet street next to a very cool boutique hotel. The staff were friendly. We soaked our foot and then got to the massage. It was my first time having a thai massage. It was okay just because I prefer swedish massage.my husband, on the other hand, enjoyed it very much because he likes thai massage. We were given some snacks after the massage which was very delicious. Pasithea was situated in a quiet street next to a very cool boutique hotel. The staff were friendly. We soaked our foot and then got to the massage. It was my first time having a thai massage. It was okay just because I prefer swedish massage.my husband, on the other hand, enjoyed it very much because he likes thai massage. We were given some snacks after the massage which was very delicious. I found out this nice place for massage. It’s little hidden in the alley. The service was good and the stuff were kind. I’d like they provide the part for you can focus where you want to be massaged more. After that they provided a hot neck pillow on my shoulders and a tea. The place is comfortable. so relaxing. I found out this nice place for massage. It’s little hidden in the alley. The service was good and the stuff were kind. I’d like they provide the part for you can focus where you want to be massaged more. After that they provided a hot neck pillow on my shoulders and a tea. The place is comfortable. so relaxing. An amazing experience! the ladies were really nice and we're very helpful. we had come back from a long flight but the massage fixed everything. they asked us on which points to focus and they worked on them really well. they even gave us a special tea and biscuits at the end which was a really different expreince. will definitely recommend next time. An amazing experience! the ladies were really nice and we're very helpful. we had come back from a long flight but the massage fixed everything. they asked us on which points to focus and they worked on them really well. they even gave us a special tea and biscuits at the end which was a really different expreince. will definitely recommend next time. My first Thai massage was a success! Very friendly and professional stuff, it was really great! I wish a had the time to visit again during my stay in Bangkok, thank you! My first Thai massage was a success! Very friendly and professional stuff, it was really great! I wish a had the time to visit again during my stay in Bangkok, thank you! The shop location is convenient. Its environment is very comfortable. The massage skills are very good. The snacks served after the massage are very tasty. The price is very reasonable and we will come again for sure. The shop location is convenient. Its environment is very comfortable. The massage skills are very good. The snacks served after the massage are very tasty. The price is very reasonable and we will come again for sure. Best massage we ever had. They are very professional. With hot tea and biscuits after the massage. Very relaxing. Best massage we ever had. They are very professional. With hot tea and biscuits after the massage. Very relaxing. Location is a bit remote but staff are professional in performing the massage. After the massage tea and cookies are provided. Environment is not bad. Overall its a worthwhile massage session. Location is a bit remote but staff are professional in performing the massage. After the massage tea and cookies are provided. Environment is not bad. Overall its a worthwhile massage session. Massage is good. Location is not too difficult to locate. Massage is good. Location is not too difficult to locate. We came again as the environment and massage were comfortable. But the experience was not good this time! First of all, the booking via Klook was not yet confirmed for long time and I need to contact Klook about it. Later, I called to change the massage booking time, the reception lady sounded impolite. We came again as the environment and massage were comfortable. But the experience was not good this time! First of all, the booking via Klook was not yet confirmed for long time and I need to contact Klook about it. Later, I called to change the massage booking time, the reception lady sounded impolite.